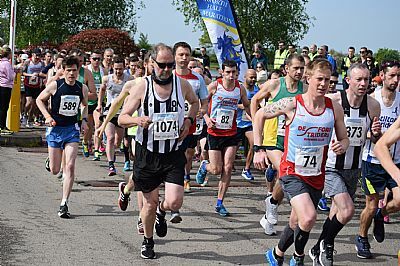 We are very pleased to announce that in 2019, the Bosworth Half returns as a Leicestershire Road Running League race and will be hosting the Leicestershire & Rutland A.A. County Championships. Looking forward to a great race for 2019, see you in May! Extensive prize list - £100 cash to 1st man/lady plus age category and Team prizes. Team prizes sponsored by Derby Runner. Bespoke quality medal for all finishers. Desford Striders, Hinckley Air Cadets, Bosworth Scouts, Badgers and many local experienced marshals. Sports Massage - pre and post.